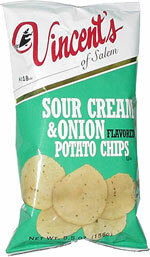 Taste test: These are good, thin sour cream and onion chips. 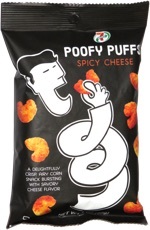 The taste is mildly oniony and mildly sour creamy. Nothing out of the ordinary, really, but everyone who tried them really liked them a lot. Smell test: Mild oniony aroma. This snack was discovered by Jeremy at Mighy Subs, Needham, Massachusetts. Review published .